Please note that times listed above are for EST (New York). Scroll down to view the correct timing for a city near you. FINALLY ON YOUR TIME ZONE! Each session is $15, or register for all 6 for only $70. This six part series covers each of the six skill areas in the Zekelman Standards for Chumash, applying them to other subjects as well. Walk away from each with an understanding of a new skill set, and equipped with multiple ways to bring it into the classroom! On the second Monday of every Hebrew month. Register one by one or for the full, discounted package! (Registration for each webinar closes two days before it occurs). When teaching, it is important to take a step back, and focus on the Hashkafic and other foundations that we may hold for granted and form the foundations for learning. Additionally, teaching content is not so simple as it seems. Learn how to give students a comprehensive understanding of the big picture of what they are learning. Appropriate for all text based subjects, based on Standard 3: Vocabulary and Language Skills. Word learning and overview of the parts of speech form Part 1 of two sessions on vocabulary and language, the key to unlocking the learning. Independent learning – here we come! In part 2 of language skills, learn how to use a true understanding of language to uncover the meaning of the Pesukim, and how to empower your students to do the same. Independent learning – here we come! Appropriate for all text-based subjects, based on Standard 4: Comprehension. Just because they can translate the Pesukim, does that mean they understand it? Learn how to build and check for comprehension, and how to incorporate the higher order thinking skills needed to make the learning real and lasting. Based on Standards 5 and 6: Rashi and Meforshim. Delving into Rashi and Meforshim is an opportunity to learn how to learn. Explore how to make this layer of learning Chumash (or Na”Ch) integrated with the text itself, so that the students understand the question, the answer, and how we get there. When we are teaching, how can we be sure our students are learning? Targeted, skill-based assessments yield invaluable data that we can then act upon to customize the learning for each child and help each one achieve success. Mrs. Chanah Rose has spent over a decade devoted to raising the bar of education through quality instruction and curriculum. She has taught in Cheder Chabad of Monsey and at the Shluchim Online School, where she also served as Curriculum Director, and was one of the authors of the Zekelman Standards for Chumash. As MEF’s Educational Director, she continues to play a leading role in consulting and presenting on the Zekelman Standards and helping teachers bring Chumash lessons to life for their students. Mrs. Sara Rosenfeld, EdD, serves as Director of Curriculum at Yeshiva – Beth Rivkah Colleges in Melbourne, AU. 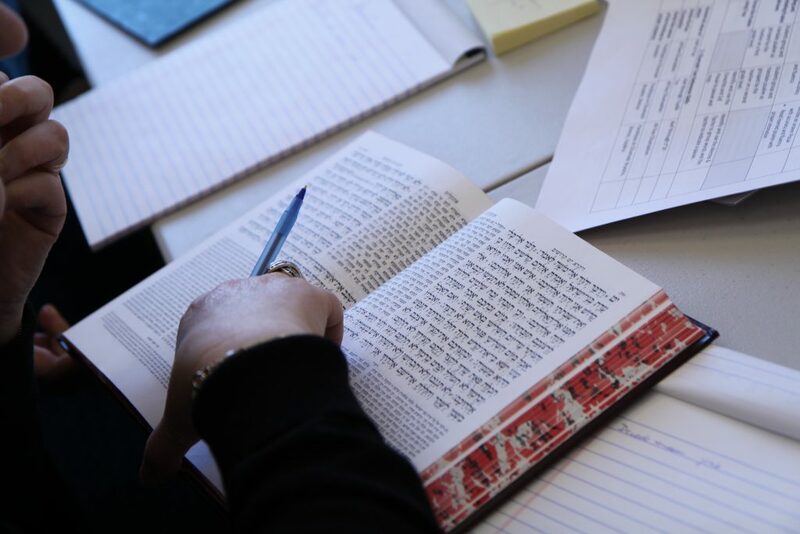 An author of numerous Judaic curricula and workbooks, Dr. Rosenfeld is sought after as a presenter, a mentor and Jewish educational consultant around the world. A leading member of the Zekelman Standards development team and author of many of the associated resources, Dr. Rosenfeld works with schools throughout the world on their implementation. I am messaging from Jhb and very excited and appreciative for this opportunity. My teachers asked if there will be visual and/or audio recordings of these specific lectures and may be listened to or watched at another time. Yes, if someone signs up for a class and can’t make it, they can view the recording at another time. Hatzlacha!